Karl McDermott has been appointed as the new Head Groundsman at Lord’s. McDermott, who will join MCC from Hampshire County Cricket Club, will replace Mick Hunt, who is retiring from the role after 49 seasons. After beginning his career as Assistant Groundsman at Clontarf Cricket Club in Dublin, McDermott took on the Head Groundsman role in 1997, ahead of the venue hosting an ICC World Cup Fixture in 1999. 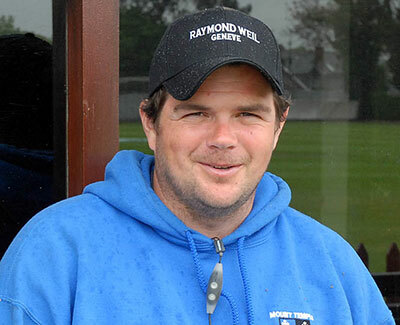 He spent seventeen years at Clontarf, working on numerous international and domestic fixtures and winning the European ICC Groundsman of the Year award in 2007, before moving to Worcestershire as Assistant Groundsman. He then took up post at the Ageas Bowl where he was initially appointed Deputy Head Groundsman in 2009, ahead of the ground’s inaugural Test Match in 2011 between England and Sri Lanka. McDermott became Head Groundsman in 2016 and most recently presided over England’s victory over India, the third Test Match to be held at Hampshire’s headquarters. John Stephenson, MCC Assistant Secretary (Cricket) said: “After a rigorous recruitment process, we are delighted that Karl has accepted the role of Head Groundsman at Lord’s. He is very well respected throughout the game, having spent the past nine years producing top quality pitches at the Ageas Bowl. “Karl emerged from a competitive field as someone who will be able to maintain the reputation of Lord’s as the ultimate ground at which cricketers of all levels wish to play. "His first season will be a challenging one, with five World Cup matches including the Final, Ireland’s inaugural Test match at Lord’s as well as the prospect of England facing Australia in an Ashes Series but we have no doubt that he will prove himself up to the task.